Raphael and Michelangelo pay a visit to Old Hob. 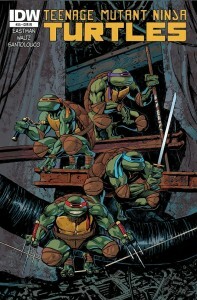 Turns out the cat’s been busy trying to create new mutants while the Turtles have been away! 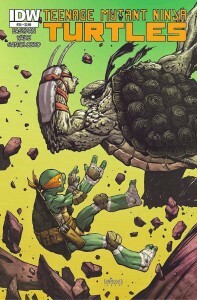 Will Raph and Mike try to stop him? The choice becomes more difficult when Slash reveals a surprise! • A major turning point for fan-favorite characters Old Hob and Slash! • Variant cover by Ken Garig!